This February we've got more Ravnica themed fun coming up! 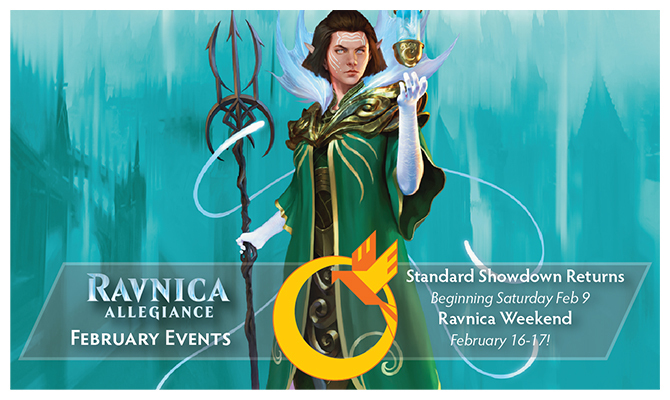 Here's all the details on our Ravnica Weekend events plus dates for the upcoming new season of Standard Showdown! The next season of Standard Showdown tournaments will commence on Saturdays starting February 9th. As with previous seasons here at Phoenix, we'll be starting our events at 1:00 PM. Entry fee will be $5 per player, and we'll have a maximum cap of 4 rounds of swiss. Prizes for Standard Showdown will be pack per win plus a standard showdown booster that contains 2 rares or mythic rares plus 1 of the special guild-themed foil basics. Standard showdown runs February 9th through April 6th! Come represent your favorite guild at Ravnica Weekend, February 16-17th. We have 2 events planned, a 4-pack booster draft on Saturday plus a guild kit sealed event on Sunday! Here's how each event works, and how we'll be handing out prizes. Our 4-pack booster draft will begin at 12:00 PM on Saturday, February 16. Entry fee for the event will be $18 (tax included). As the name implies, we'll be drafting 4 boosters instead of the regular 3, and because this is Ravnica Weekend, we'll have some additional prizes beyond our usual modified pack-per-win prize structure! 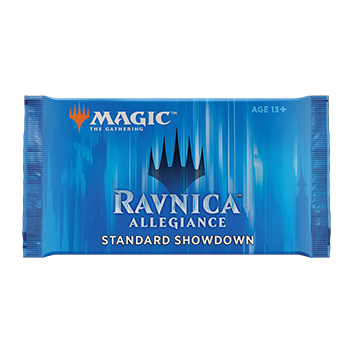 Top players from every pod will choose one of the five guilds from Ravnica Allegiance (that'd be Gruul, Simic, Orzhov, Rakdos or Azorius if you're just joining us). You'll receive a guild print plus 2 foil guild-kit basic lands of that guild's colors. 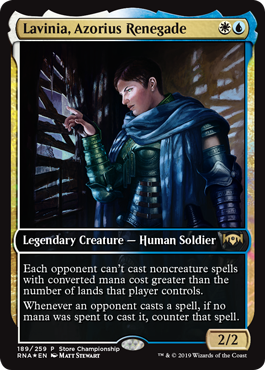 In addition, the top half of each pod will receive a foil promotional Lavinia, Azorius Renegade card. Please Note: Due to limited promotional card availability, we are capping this draft event at 24 players. Registration opens at 11 AM, so drop by early to make sure we have a spot for you! Sunday's event will decide which guild reigns supreme! Players who sign up for the guild kit sealed will receive a Guild Kit of the guild of their choice to use to battle other contenders in our little contest of guilds. This event will start at 12:00 PM and last 3-4 rounds depending on the number of players. Entry fee will be $30 per player (tax included). 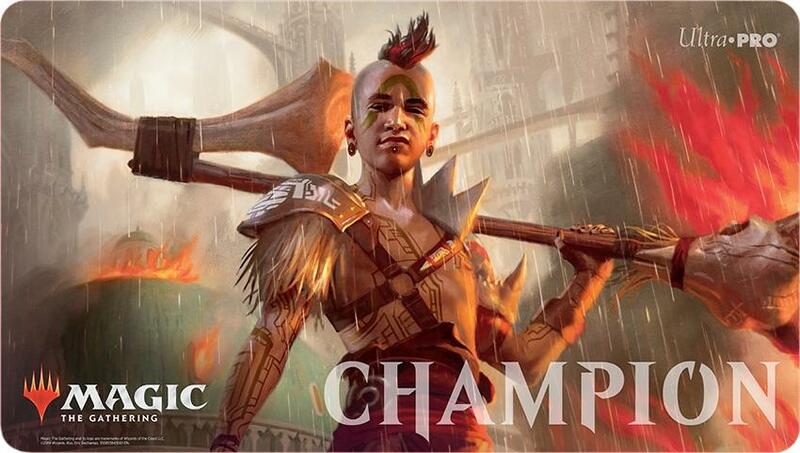 At the end of the final round, the undefeated player will receive our Ravnica Allegiance Champion's play-mat alongside a guild print of the winning guild and 2 foil guild-kit basic lands of that guild. The top 8-10 players of the event will also receive promo Lavinia, Azorius Renegades. And if that's not enough we'll also be giving out 1 pack per match win in standard legal boosters to all players regardless of their standings! Please Note: As with the 4-pack draft, we are imposing a player cap of 20 players on this event. Registration opens at 11 AM, so please stop by early to make sure we get you registered with your guild of choice before they're all gone! Ravnica Weekend - The Promos! 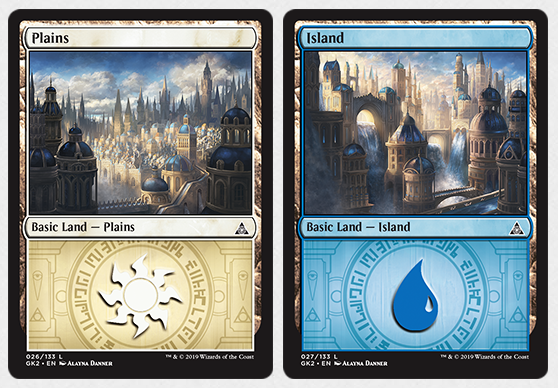 We figured you might be curious about what these foil basic lands looked like, so here's the Azorius ones as a bit of an example. The real things will be even shinier! He's ready to smash. Are you?